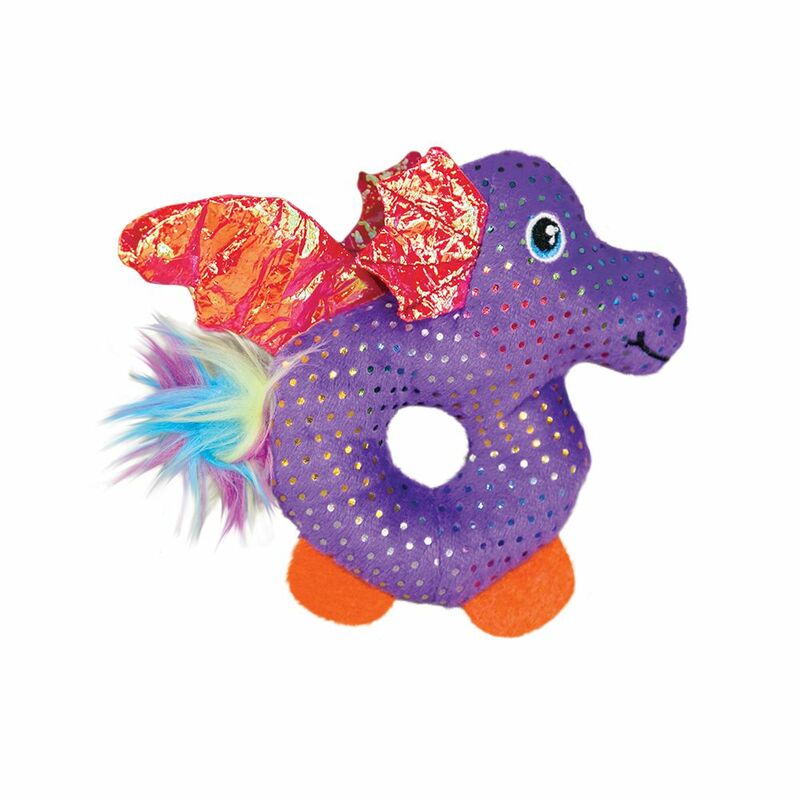 The KONG Enchanted Buzzy toy lures cats with an irresistible buzzing motion that engages natural instincts. 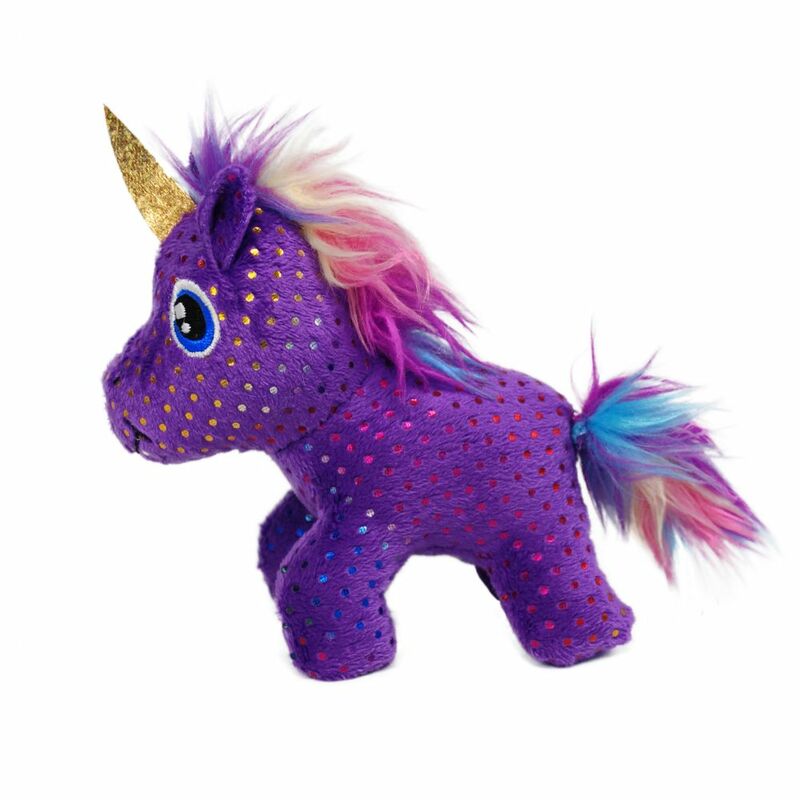 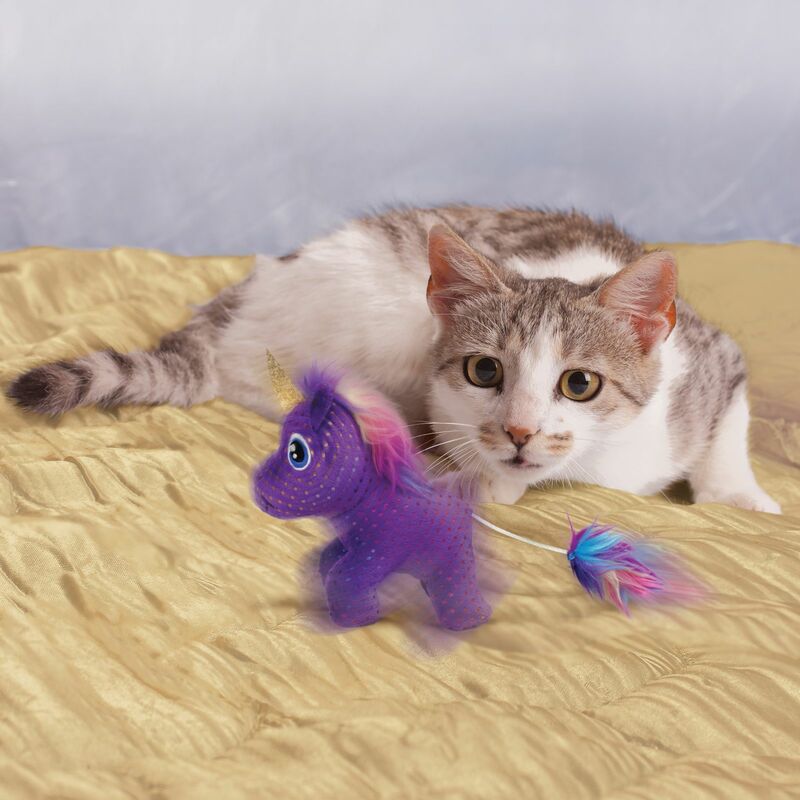 Buzzing and spinning begin when the unicorn’s tail is pulled, activating a cat’s natural catch and capture play desires. 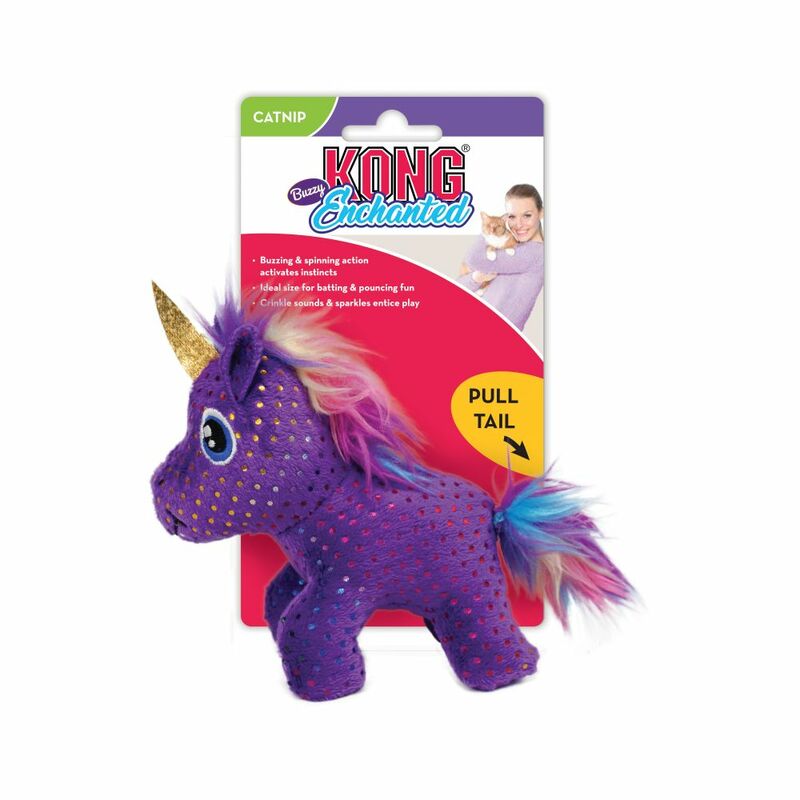 Extending the fun are crinkle sounds, sparkly colors and KONG North American Premium Catnip, all adding up to keeping kitty’s occupied for some magical playtime fun.